Retired Gen. John Kelly is a 45-year Marine veteran who headed the U.S. Southern Command, where he focused on U.S. border security, organized crime, terrorist organizations and drug traffickers in his Latin American region for more than three years. Kelly retired as a four-star general in 2016. General Kelly then served as the 5th United States Secretary of Homeland Security in the Trump Administration; Kelly earned a reputation for being an aggressive enforcer of ethics, established Homeland Security policy, and, most importantly, the law. After six months, he was selected to serve as White House Chief of Staff. General John F. Kelly was born and raised in Boston, Massachusetts. 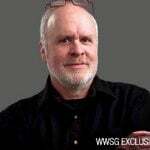 He enlisted in the Marine Corps in 1970, and was discharged as a sergeant in 1972, after serving in an infantry company with the 2nd Marine Division, Camp Lejeune, North Carolina. Following graduation from the University of Massachusetts in 1976, he was commissioned an Officer of Marines. As an officer, General Kelly served in a number of command, staff and school assignments to include sea duty, instructor duty at The Basic School, the Infantry Officer Course, command of the 1st Light Armored Reconnaissance Battalion, attendance at the National War College, and duty on Capitol Hill as the Commandant’s liaison to the U.S. Congress. He also served as the Special Assistant to the Supreme Allied Commander, Europe, in Mons, Belgium. He returned to the United States in 2001, and was assigned duty as the Assistant Chief of Staff G-3 with the 2nd Marine Division. In 2002, selected to the rank of Brigadier General, he again served with the 1st Marine Division, this time as the Assistant Division Commander. Much of the next two years was spent deployed fighting in Iraq. 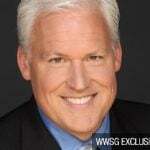 He then returned to Headquarters Marine Corps as the Legislative Assistant to the Commandant from 2004 to 2007. Promoted to Major General, he returned to Camp Pendleton as the Commanding General, I Marine Expeditionary Force (Forward). The command deployed to Iraq in early 2008 for a year-long mission as Multinational Force-West in Al Anbar and western Ninewa provinces. After rotating home and being confirmed as a Lieutenant General he commanded Marine Forces Reserve and Marine Forces North from October 2009 to March 2011. 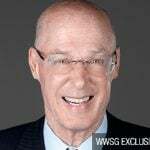 He then served as the Senior Military Assistant to two Secretaries of Defense, Messrs. Gates and Panetta, from March 2011 to October 2012 before being nominated for a fourth star and command of the United States Southern Command (SOUTHCOM), a position he held until January 2016. 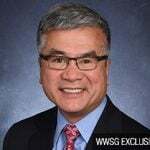 During his 39 months in command of SOUTHCOM he worked closely with the remarkable men and women of U.S. law enforcement, particularly the FBI and DEA. He also worked intimately with Secretary of Homeland Security Jeh Johnson and the equally remarkable men and women of the Department of Homeland Security, particularly in dealing with the flow of drugs, people and other threats against the U.S. homeland that flow along the trans-national criminal networks into the U.S. from the south. This relationship was a model of interagency cooperation and effectiveness. After less than a year in retirement General Kelly was offered the opportunity to serve the nation and its people again, now as the Secretary of Homeland Security. After he and his family served a lifetime in service to the nation—and knowing no other life—the opportunity to serve again was welcomed. 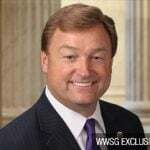 The U.S. Senate gave him and his family the great honor of confirming him on January 20, 2017 and he was immediately sworn in as the fifth Secretary of Homeland Security. After six months, he was selected to serve as White House Chief of Staff, a position he held until January 2019. As governments and organizations around the world struggle with adapting to a near-constant pace of change, it is imperative that leaders understand, communicate and execute a clear vision. In this presentation, Gen. Kelly discusses the difference between governance (ethical, mission-centered management designed to provide positive outcomes for the good of the people) and politics (specific agendas with varied outcomes, based on short-term goals). 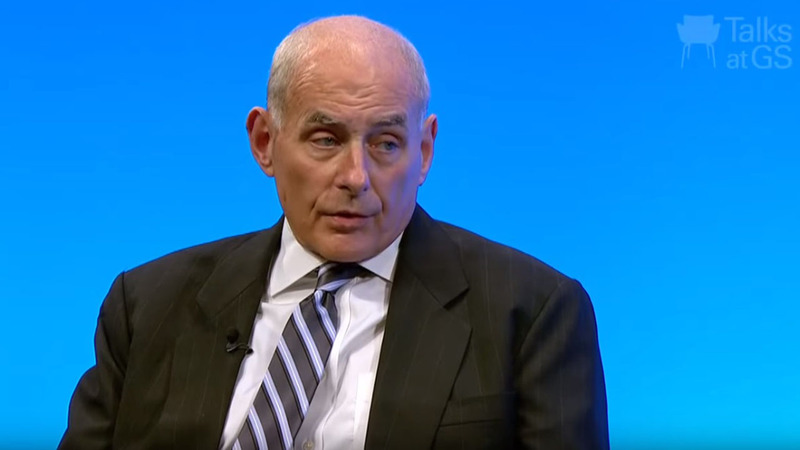 A 4-Star General, US Secretary of Homeland Security and White House Chief of Staff, Gen. Kelly discusses this critical distinction and the impact it can have on organizations around the world. In a world where dictators are falling and rising, governments posture for a greater impact on the global stage, and information is the critical currency, who will emerge and where will opportunities exist? A 4-Star General, US Secretary of Homeland Security and White House Chief of Staff, few people are as qualified as Gen. Kelly to provide first-hand insight into the evolving geopolitical landscape around the world. 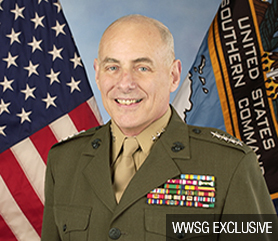 From the UN to the Pentagon, from the South China Sea to Washington, DC, Gen. Kelly discusses the trends, risks and potential rewards amid the ‘hot spots’ around the globe. 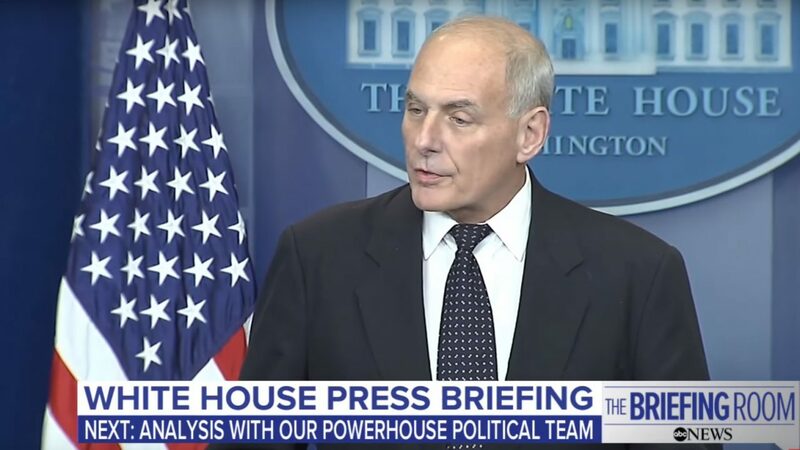 A 4-Star General, US Secretary of Homeland Security and White House Chief of Staff, few people in the world have been as successful leading in many of the most hostile and stressful environments on earth as Gen. Kelly. In this far-ranging discussion, Gen. Kelly lays out the foundation for successful leadership. With themes including a clear vision, a deep sense of care and passion for those in our charge, a mandate for initiative, and a philosophy of delegation and support, Gen. Kelly shares the wisdom and perspective he has gained as one of our country’s greatest leaders. "Kelly was deft and compelling in answering the tough questions about his tenure. He was downright inspirational when he encouraged students to consider public service and civic engagement."